We are getting close to see R4 cars driven in anger. So we can leave the thinktank thread, and start posting R4 stuff in this one. When is the first rallies where we will see R4 kit used, will it be 1st ERC round? Is this the only appearance of a homologated R4 car in the history of rallying? Several companies are currently building R4 cars but I'm almost sure that they won't be ready for Azores Rally. The Fiat 500X from Milano Racing has a program for the French gravel championship. Vincent Dubert will drive it, he's a well known driver from the French DS3 Trophy. Should be fast enough to show the car's potential. In Portugal soon we will have Mitsubishi Mirage R4 ready. The Fiat 500X from Milano Racing has a program for the French gravel championship. 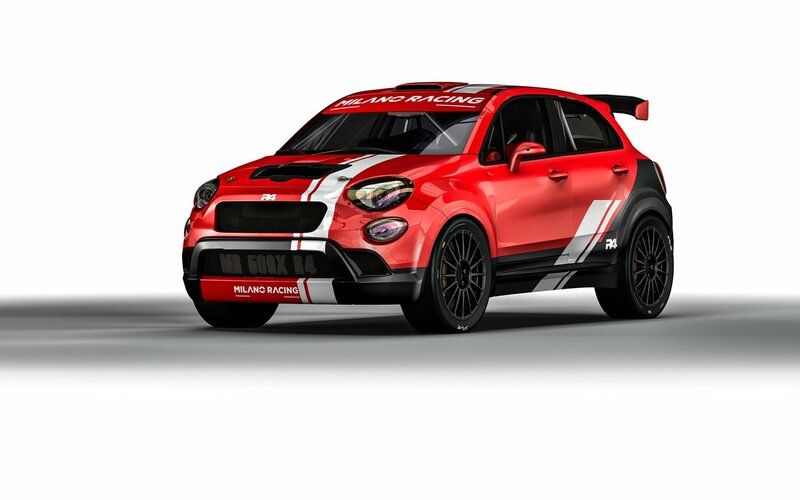 Now the Fiat 500X R4 from Milano Racing has a program in the Italian gravel championship, too. Nicolas Ciamin should be good enough to show potential of the new car. Should be fast enough to show the car's potential.